· Sites that are being followed by your colleagues. · Sites that are being followed by people you're following will tend to be recommended to you. · Sites that are being followed by a large number of people in your organization. · Sites that you have modified recently. 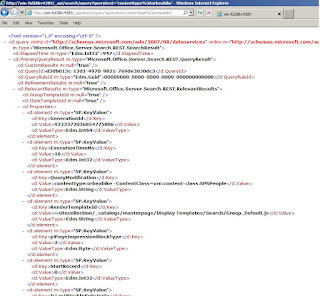 You get a JSON result set with information which documents, persons and sites the user fired the query is following. 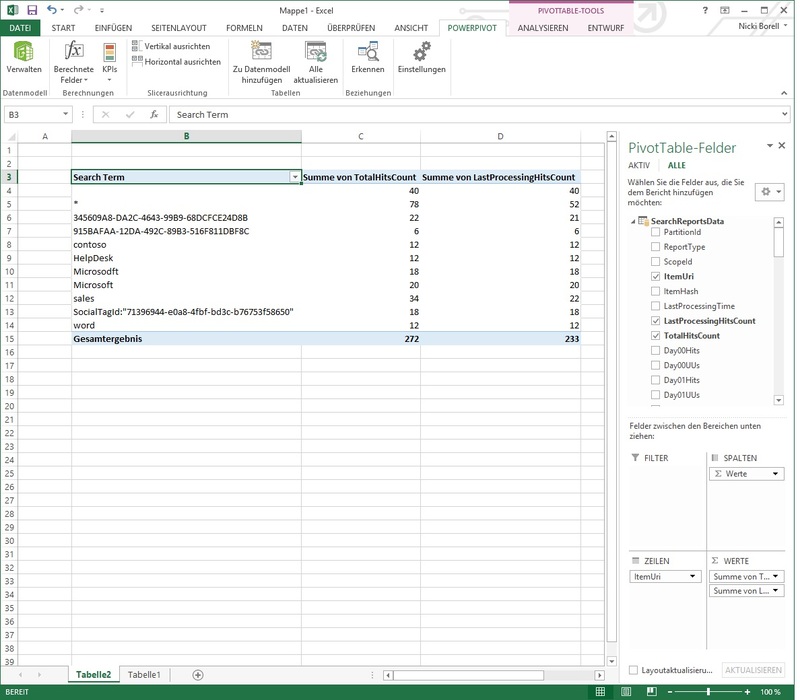 For the jQuery Script to create that list go to: https://iamfollowing.codeplex.com/ That solution works with SharePoint 2013 only, on-prem or with O365 / SharePoint Online. 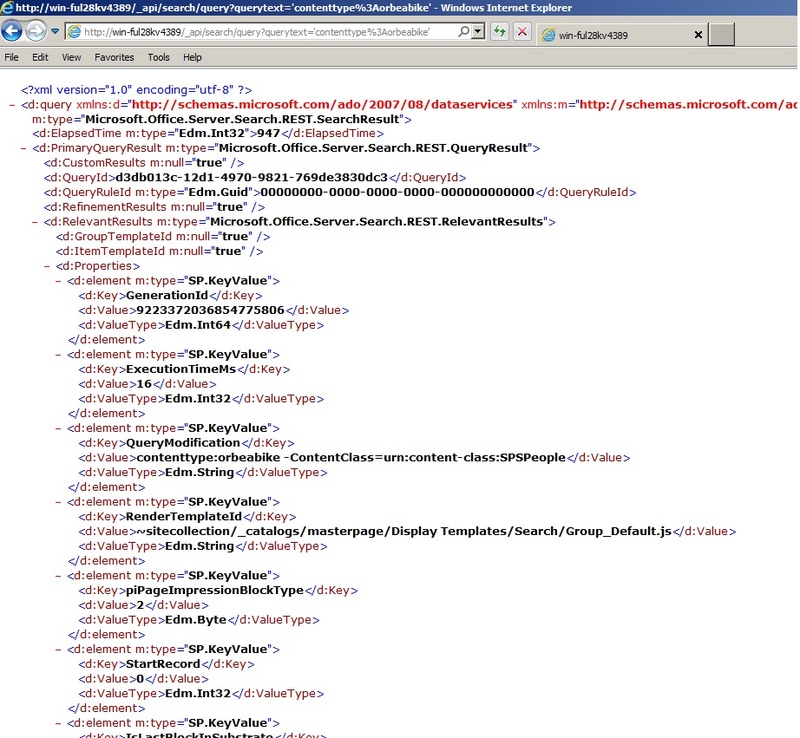 You can use other REST endpoints to feed the jQuery script to get other information’s, too. I am really proud to be nominated as a SharePoint MVP. Thanks all who supported me! Thanks a lot to Thomas Molbach from Microsoft. He sends me his Scripts from his Session SPC 202 from last year SharePoint Conference in Las Vegas. 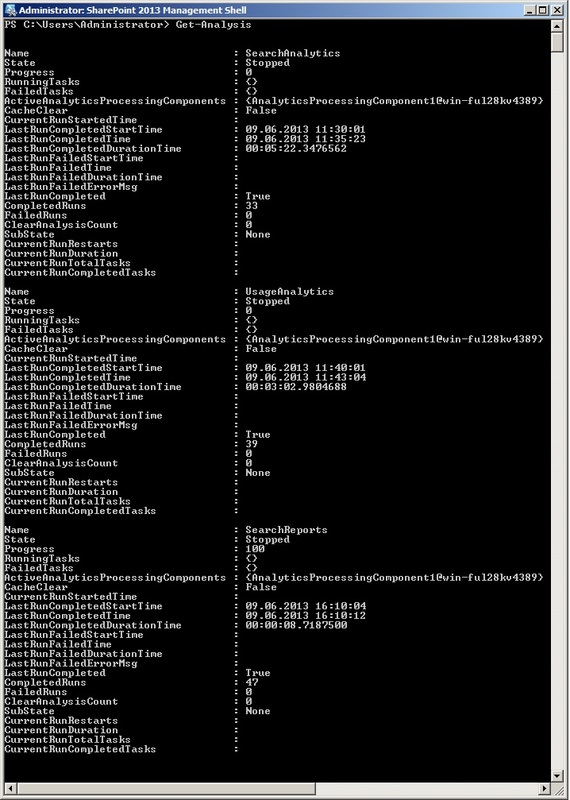 So most of the PowerShell commands in this article are based on his scripts. 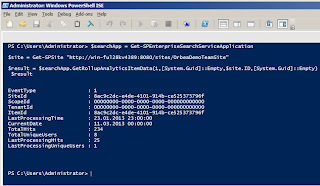 Working with PowerShell and the new SharePoint Analytics feature means that you have to set up your PowerShell environment first. 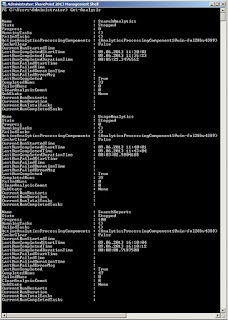 Using the SharePoint Management Shell as it is won’t work. The major part is: Add-pssnapin analysisenginepssnapin . 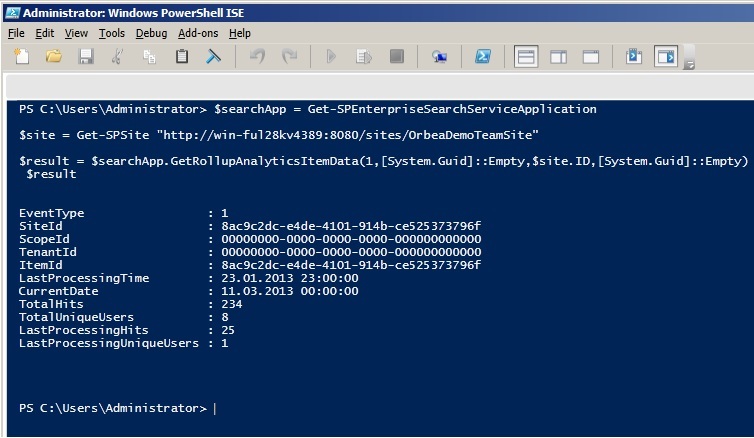 As you see the Analytics feature is not part of the common SharePoint PowerShell Snapin. 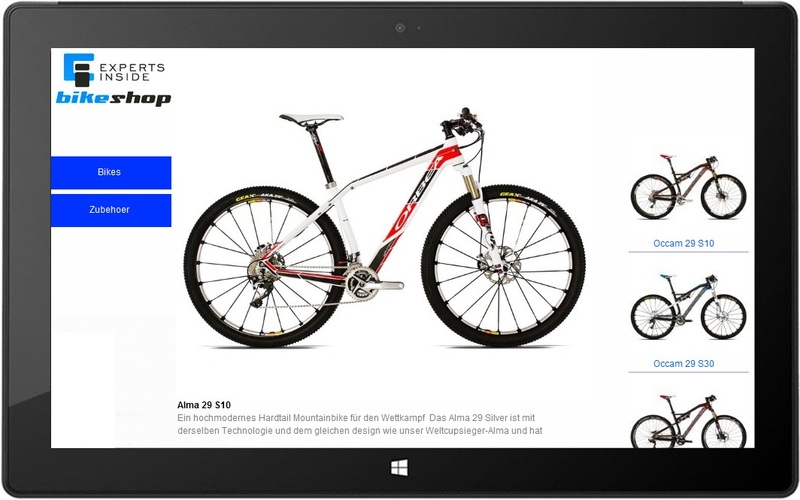 Stay tuned more news also what that means for SharePoint coming up soon….! In Part I I wrote about the options and scenarios with Search and Search Driven Apps in SharePoint 2013 on-premise. Now let’s see which option we have using the online version of new SharePoint 2013. 1. We did not have the new Webpart Family “Search Driven Content”. 2. 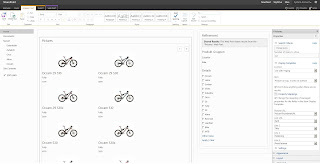 In SharePoint Online we are not able to configure own content sources ore manipulate the settings like Crawler scheduling etc. 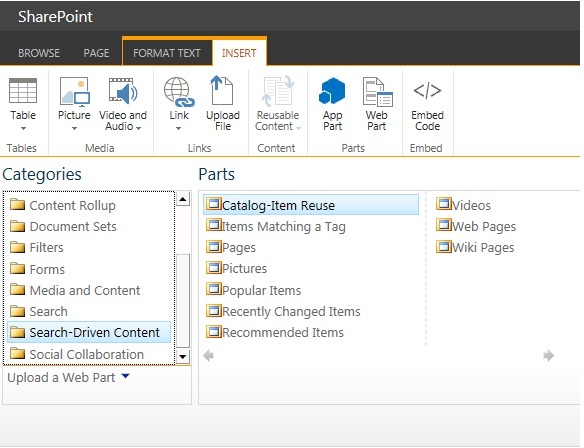 Because of the option “content sources” is not available in SharePoint Online we have to look for alternatives to bring in own content in our SharePoint Online environment. Another point is the index freshness which cannot be manipulated setting up Crawler scheduling ore manually decide to configure continuous crawling option. Also in the official technet documentation is not a clear statement continuous crawling is set up by default for SharePoint Online or not. My own experience say: “Yes, it is”. I get search result in the index within 2min – 4min. This is really fast and for me in the most scenarios ok.
To bring in own content in you SharePoint Online Search you have to use “Result Sources” To set up those 3th Party Result Sources you can use “Site Setting” to configure them in the context of a Site Collection ore SharePoint Admin Center to do it global. For all options you have to configure a security context to access the result source. 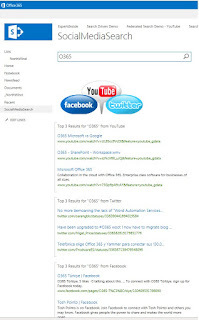 Using Remote SharePoint you can use SSO or path thru authentication. Using Open Search we have the option to use Anonymous, Basic Authentication, Digest Authentication, NTLM, Form Authentication or Cookie Authentication. 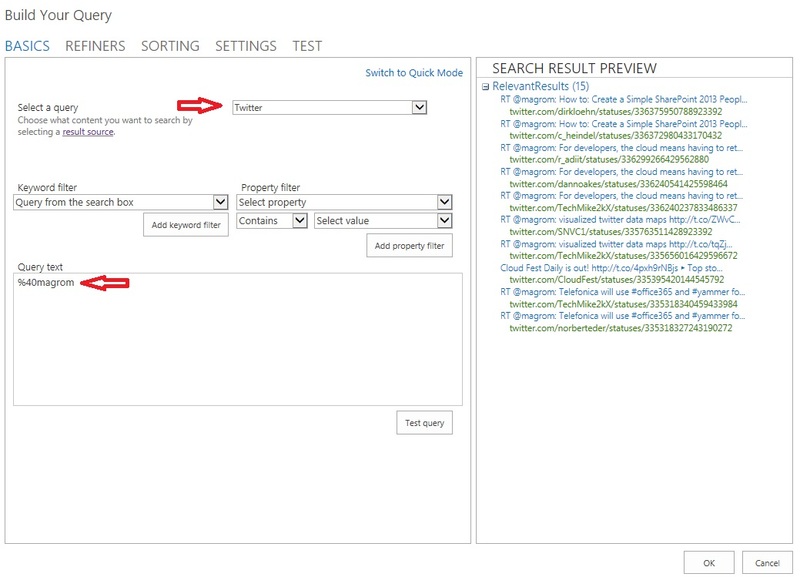 Using Remote SharePoint to call an on-premise SharePoint Search you have to set up a Search Federation based on an Identity Federation. In all cases we had to configure a Remote Address and we can configure a Query Transformation (as described in Part I) to filter ore manipulate the query which is send to the remote system. In my demo tenant I simply use some open search based systems. Setting up those systems as a “Result Source” get me the option to use them in my SharePoint Online system to build Search Driven experiences. 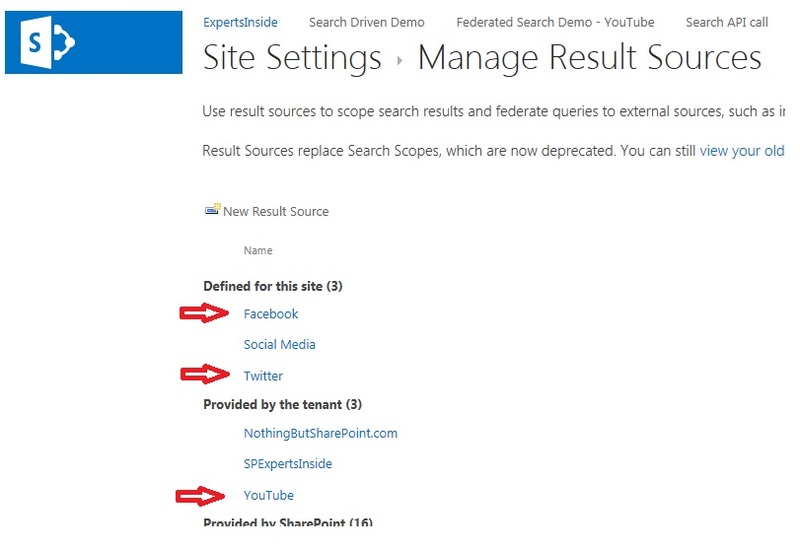 And of course you can mix results coming from remote sources and results coming from your SharePoint Online source. 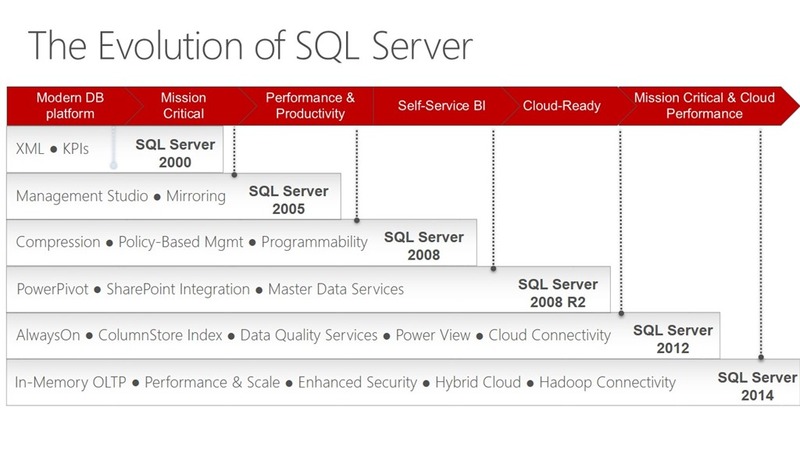 · It’s interesting to see how the analytics database is used to plan you databases files, partitions etc. 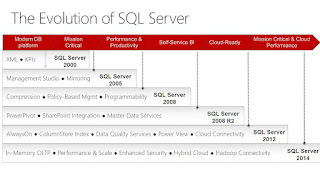 · Only reading from the database using given functions and stored procedures can of cause be an option. The interesting table in Search_Service_Application_DB is [dbo].[SearchReportsData]. 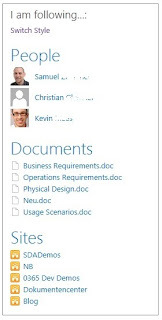 Why the “Usage and Health Data Report” can be empty in SharePoint 2013. 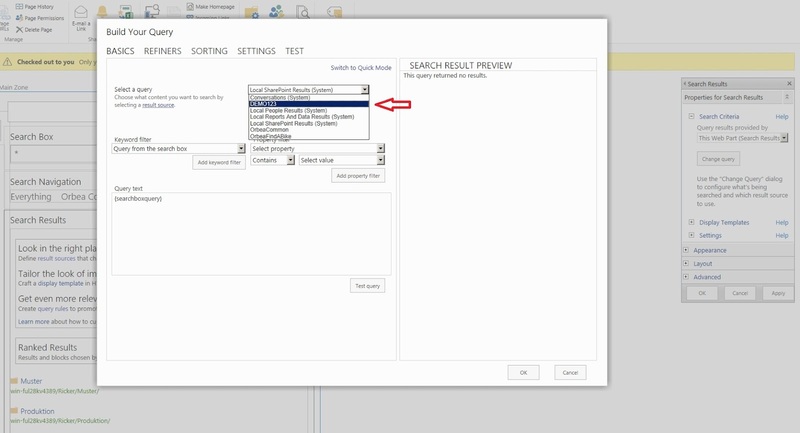 In SharePoint 2013 the feature WebAnalytics known from SharePoint 2010 is no longer part of the product. There is new feature called Analytics . · No Crawls: Actual data is processed during crawling. So if there is no crawler scheduled for content sources or there is a problem with the crawlers no actual data is processes. · Named Users: Only queries and interaction done by “normal” named users are captured. 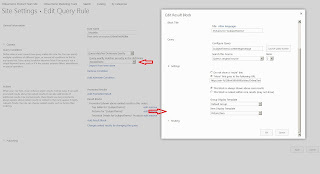 If you access SharePoint using an administrative account you queries etc. would not be showmen in the reports. 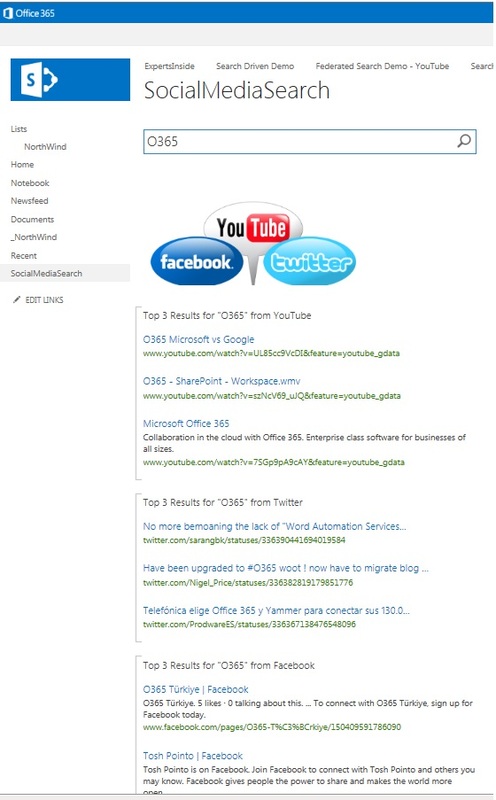 Search Driven Solutions are not new in SharePoint 2013. 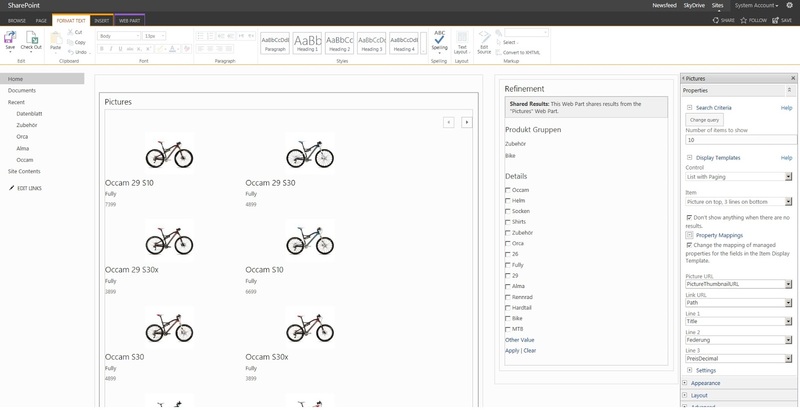 But with SP2013 they reached a new dimension and there are much more out-of-the-box Webparts and options to work with content that is in your search index. 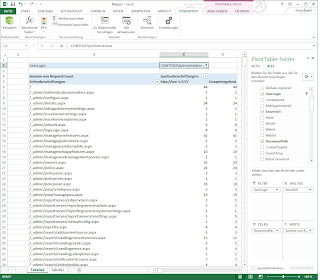 Not in every case we have to choose between normal SharePoint Search and Search Result Webpart ore using Search Driven Solutions. There is a very useful and powerful option between. With SharePoint 2013 there are some new features. In the context of “Special Date means Special Search and special Search Results” we will now have a closer look on “Result Source” and “Query Rules”. Query Transformation: gives us the option to focus which data is shown in this Result Source using Search Syntax. 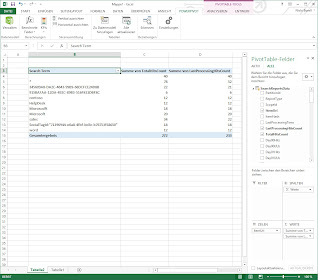 Also we had the option using the Query Builder to define the Query Transformation. Query Rules are used to manipulate search query. A Query Rule always based on a Result Source. That’s why we have to start with a Result Source. 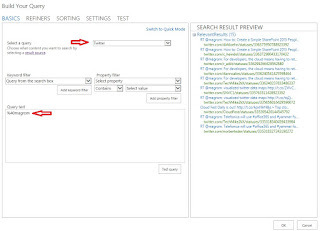 Query Rules are also based in the site setting ore in search service application. Working with Query Rules we had two main parameters. 1. Query Condition: this parameter defines under which condition the Query Rules take effect. To do this we had several options. The easiest way is “Query matches Keyword exactly”. But we also can use Termstore using the option “Query matches Dictionary exactly” This brings many powerful options. For example if you extend you Termset which is referred you not need to reconfigure you Query Condition. Also in Multilanguage environment this can be useful. 2. Actions: The section configures what should happen if a Query matches. We can configure a promoted result which is similar to Best Bets we know from SharePoint 2010 are we can place a Result Block. 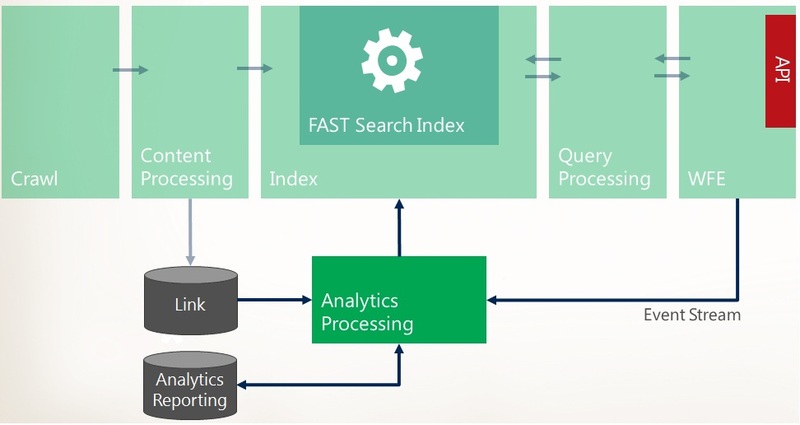 Bring all this together we can deliver special search for special data. To get a result like this we had to configure a Result Source, based on this Query Rules and then use the Result Source in a search result Webpart. 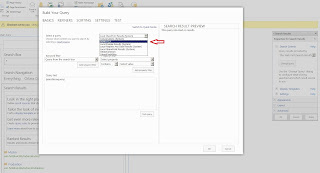 Detail Step by Step walkthrough is shown in the Webcast at the end of the post. The above solutions are all based on a search query which had to be filled in a search box by a user or had to be configured as a “fixed keyword query” in the settings of the search result Webpart. 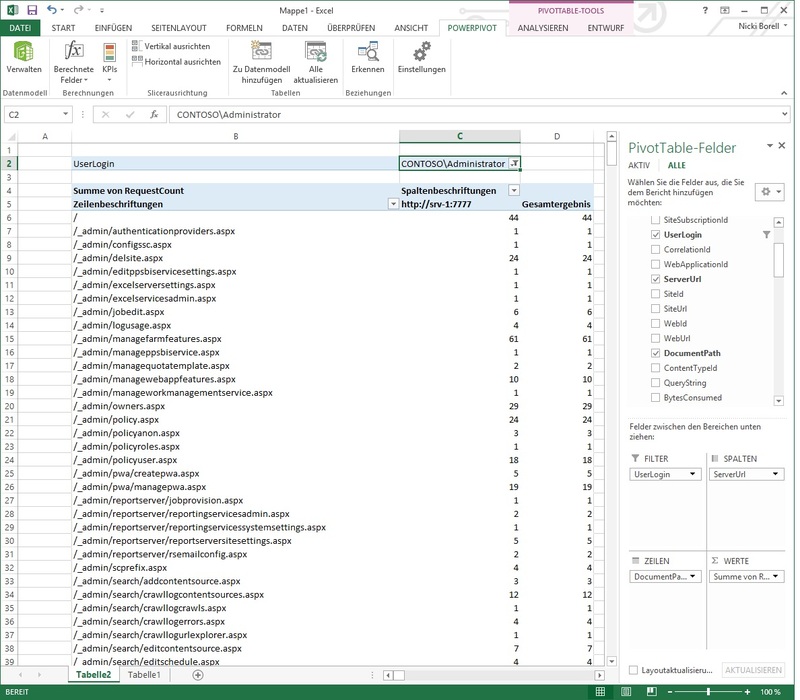 Now let’s see how we can create dynamic pages showing content based on Search Querys using the new Webpart Family “Search Driven Content”. 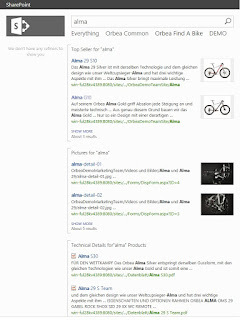 Here you can see the “Search Driven Content” Webpart for Pictures. In the settings dialog the Display Template is configured to show “Picture on top, 3 lines on bottom”. Under Property Mappings you can choose which Managed Property are used to fill the lines. In the context of the shown Refiner Webpart “Refinement Target” is configured to the “Search Driven Content” Webpart Pictures. The binding is based on the Title of the Webpart.